With over 180,000 attendees pitching, networking, and showcasing from around the globe converging at CES, it can seem overwhelming. 4,500 exhibitors and 2.9 million square feet of exhibits at the four-day show made up half of the trip’s equation – the other half was strategizing how to cover it. Identify who you want to reach and network with ahead of time. Since you can only be at one place at one time, it is key to strategize and prioritize your time. CES Unveiled is the event with the most “big media per capita,” with journalists from around the globe hunting for common themes and cutting-edge products showcased during the show. Startups and established companies debut technologies and services before CES really kicks off. Eureka Park presents investors, media and attendees with a dedicated space to connect with more than 1,200 companies from over 50 countries. Be sure to stay for the pitch competition - this year’s alumni judges included Ring, Benjilock and LifeFuel. The keynote stage provides more extravagant displays from bigger, established companies, if you’re looking for them. Some of tech’s biggest names this year included AMD, AT&T Communications and LG Electronics. C-Space, CES Sports Zone, CMO Insights, Digital Hollywood and Digital Health Zone tracks combine technologies, influencers and businesses from entertainment, sports, marketing and healthtech. CES Sports Zone highlighted 11 of the world’s leading car manufacturers through the future of transportation track, while 5G, AI, and 8k represented some of the technologies across others. 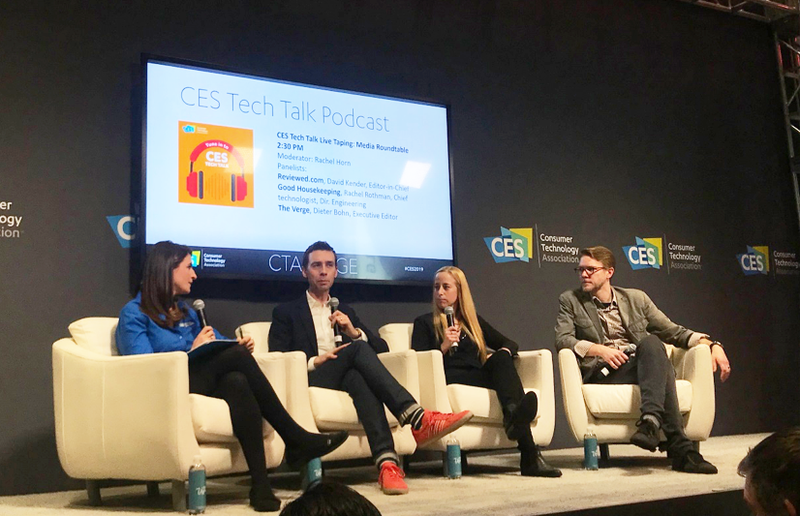 CES Tech Talk Podcast was recorded live in the Grand Central Hall featuring various media partners. You can steer your way through CES, you just need a plan. Luckily, they have an app for that. Download the CES App and familiarize yourself with the show’s map and your schedule. It may seem like a small thing, but one awesome feature of the CES Map is locating all the badge pickup locations. Plan to either collect yours early or wish you’d charged your phone while waiting in a long line! Badges are your entry ticket to conference programming, as security constantly checks them before anyone can enter a panel discussion. Outside of the Las Vegas Convention Center, CES-related events take place throughout the strip at locations like Aria, The Venetian, Sands Convention Center, Mandalay Bay and more. Venues aren’t typically a “hop and skip” away and your decisions will come down to walking, ordering an Uber or Lyft, riding the monorail or taking a shuttle bus, as well as knowing which option makes sense when. Otherwise, the very best of luck to anyone wanting to hoof it from Mandalay Bay to the Las Vegas Convention Center. Pro tip: Schedule meetings and programs in one spot per day. Book media meetings before you get to Vegas, as media plan for the show months in advance. Pack light for venue entrance. Only media members can carry a little more than two small, laptop-sized bags into conference venues, and each must be searched. Everyone else must pack lighter or make peace with security turning them away. Don’t forget those business cards! There’s no such thing as bringing too many and you never know who you’ll meet, so keep them as handy as your elevator sales pitch. As with any conference or tradeshow, burnout is real. In Vegas, most venues are conveniently set up for you to grab your preferred beverage or meal, but try not to treat every meal as a grab-n-go. Sensible schedules are key and allow you to properly care for yourself. Self-care extends to your devices at CES. Use the charging stations and outlets found throughout the venues and always check your data storage and availability. Follow our tips and you’re sure to add some order to get the most inspiration from your CES experience. If you’re a veteran of CES, what pro-tips can you share? What do you wish you knew before your first time attending CES? 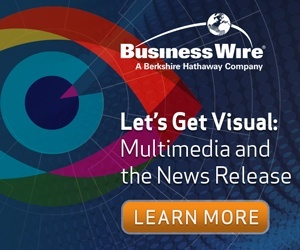 As the official newswire partner for CES since 2011, Business Wire has exclusive access to the show’s pressroom. One of our main goals at the show was to help on-site media access news releases and announcements distributed over Business Wire’s network. In addition to spending time in the BW Lounge in CES’ main press room, we walked through the show to meet and engage with key media and influencers about Business Wire’s licensing and media services.